To many people, the phrase "palliative care" is synonymous with end-of-life pain treatment. But as the leaders of Baylor Scott & White Health have discovered, taking a more expansive and inclusive approach to supportive care, pain management, and end-of-life care planning can deliver major benefits for all parties—reducing readmissions and ED visits, improving quality of life for patients, better supporting family members, and lowering costs. The Baylor team has succeeded by expanding their palliative care resources, engaging patients and families earlier with a supportive care model, and offering early intervention for patient-centered end-of-life care planning. The results have been impressive: a 17% reduction in readmissions, 85% better pain management, and more satisfying end-of-life planning. 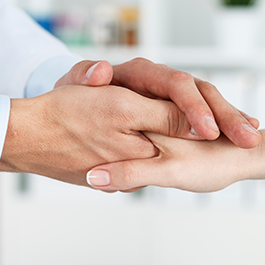 Understand how to overcome the negative connotations of “palliative care” to improve public perception and, ultimately, patient experience and outcomes. *This was a rebroadcast of the August 2015 event due to popular demand. Baylor Scott & White Health, the organization formed from the 2013 merger between Baylor Health Care System and Scott & White Healthcare, is the largest not-for-profit health care system in the state of Texas. With total assets of $8.6 billion and serving a geographic area larger than the state of Maine, Baylor Scott & White Health has the vision and resources to provide its patients continued quality care while creating a model system for a dramatically changing health care environment. The organization now includes 46 hospitals, more than 500 patient care sites, more than 6,000 active physicians, 36,000 employees and the Scott & White Health Plan.